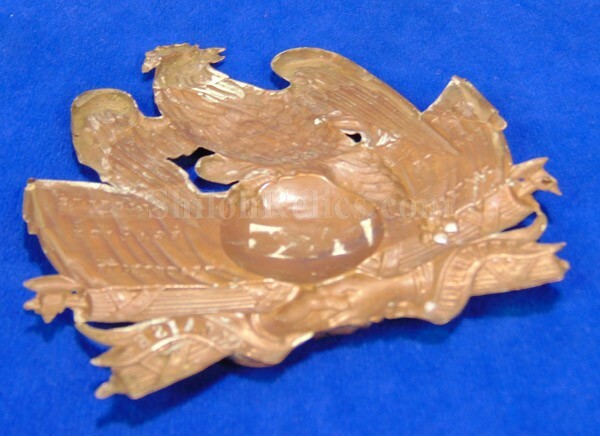 Here is a beautiful original military hatplate that is over 160 years old. 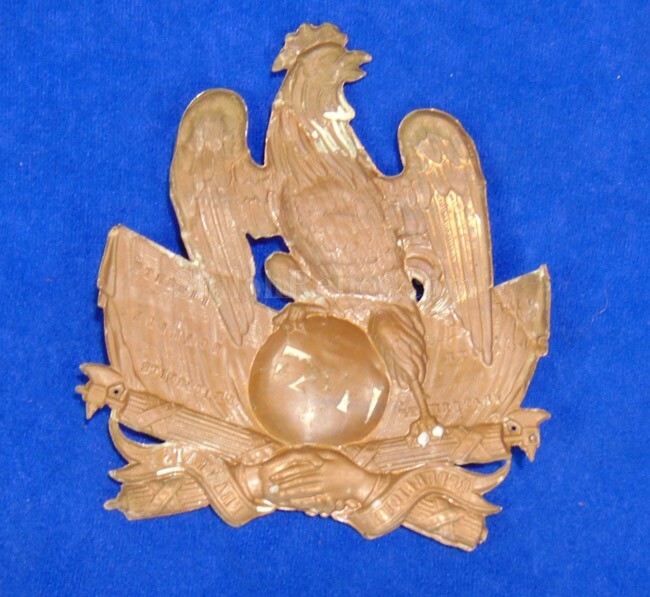 This is one of the front insignia for the scarce original shako style hats that were worn by a member of the 2nd French Republic. 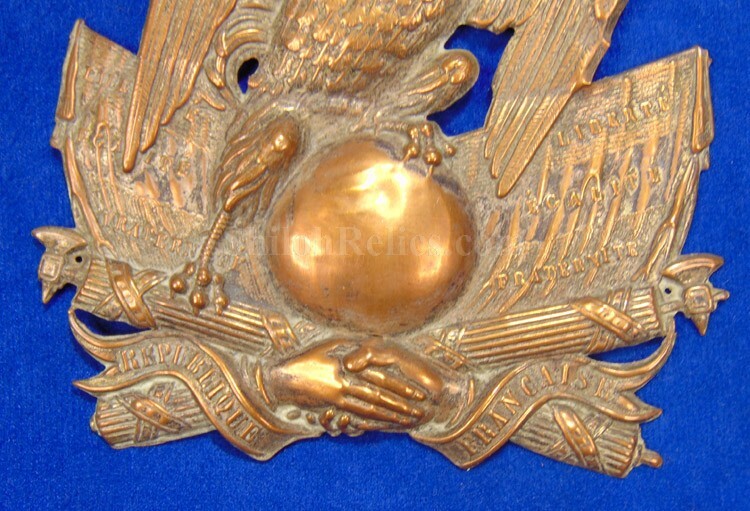 This Republic only lasted from February 25, 1848 to December 2, 1852 so we know within a 4 year time span when this hatplate would've been made and worn. 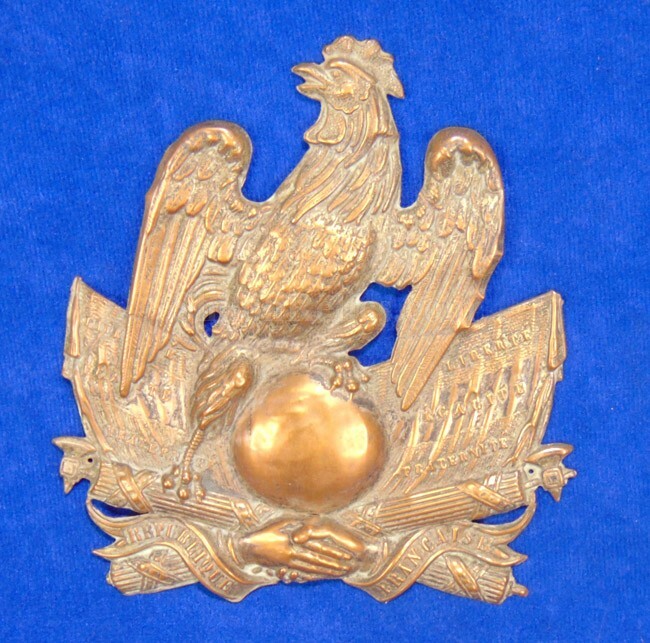 This would have been beautifully displayed on the front of the hat and it is a copper Gallic rooster on a trophy of arms plate which was the insignia for the 2nd French Republic. 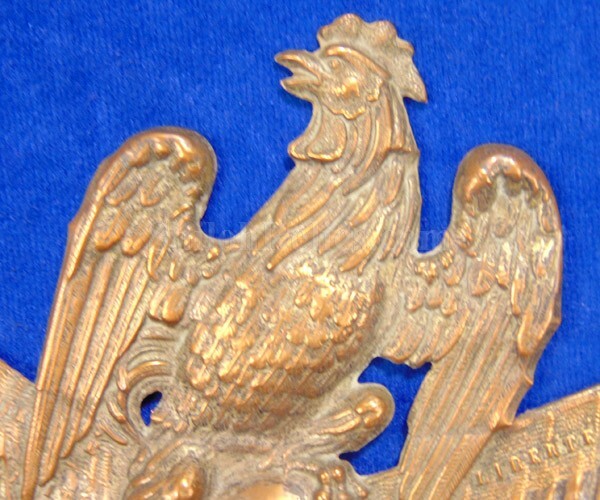 The insignia measures 4-1/2 inches by 4-1/4th inches in overall size. What a great hatplate.